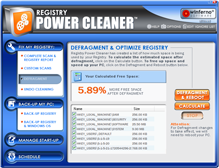 Using a high performance algorithm, Registry Power Cleaner deep scans your PC to locate likely registry errors that may cause system crashes and freezes. Next Registry Power Cleaner applies powerful fixes to help stabilize your PC. 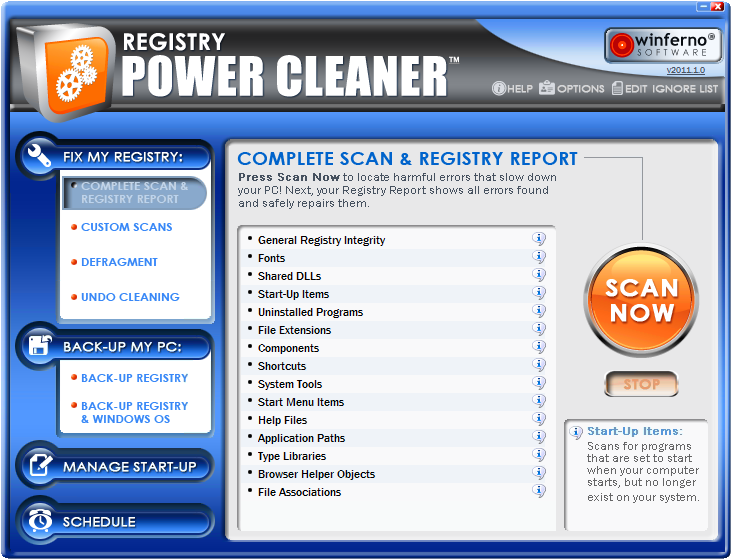 Registry Power Cleaner features 16 powerful deep scans to locate hard to find likely registry errors. Overtime your registry becomes bogged down with unneeded files, orphaned references and other junk that can seriously slow down your PC. 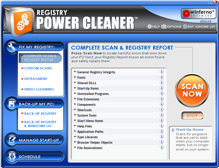 Registry Power Cleaner smartly analyzes your registry to determine what you need and what you don't. It then recommends smart fixes to improve your overall PC speed. 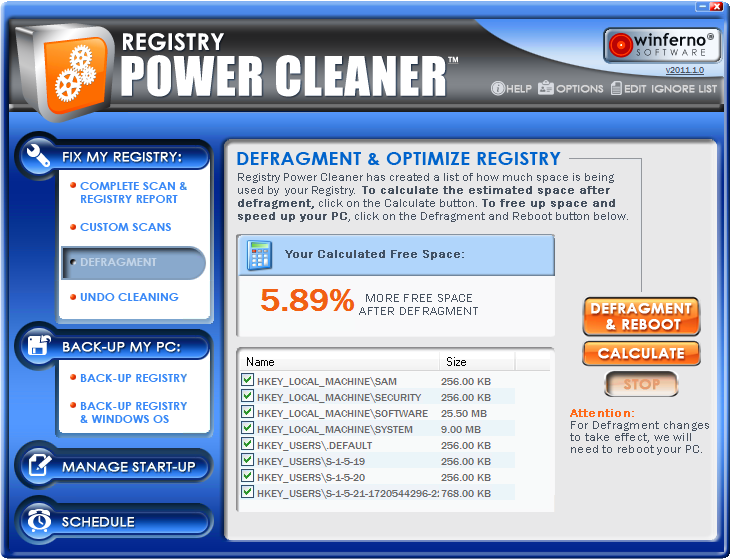 Every time Registry Power Cleaner performs a cleaning, it automatically back-ups your registry. That way if you accidentally remove something you need, you can go back in time and un-do the changes. 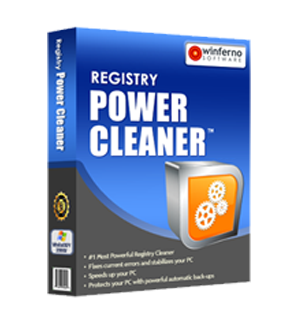 By removing invalid entries and broken shortcuts, Registry Power Cleaner may drastically speed up your PC. A fragmented registry is one key reason for a slow PC. Defragmenting and optimizing the registry will help boost the performance of your computer and decrease your computer's start-up time.